Hey y'all! Different intro today but mainly because I just got back from a short trip to Nashville! 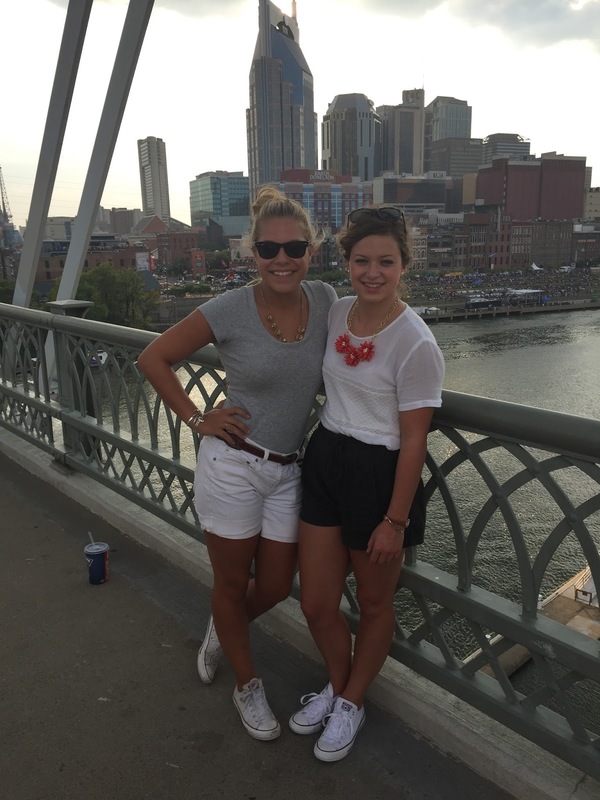 I am not from Nashville, but I am definitely a Nashville girl at heart. 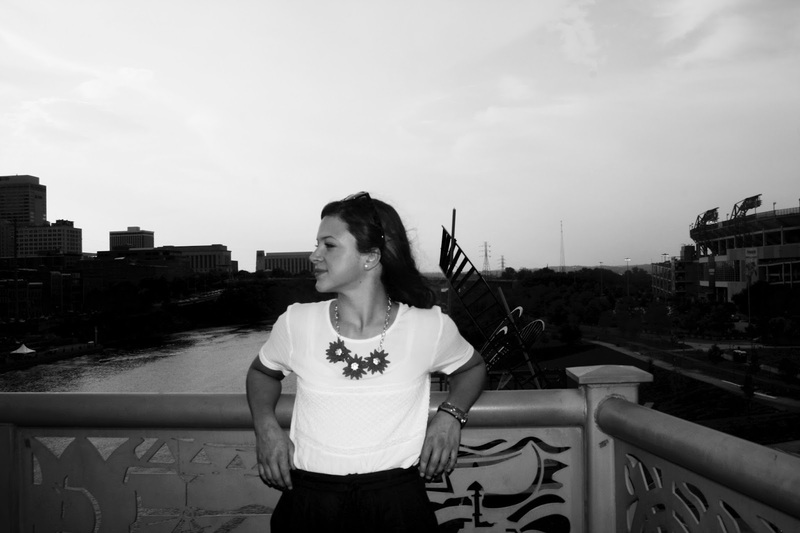 This weekend I took some time to do some mural hunting but also look for great photo spots. Now for the mural hunting. I know there are plenty other murals and amazing views of the city, but here are the ones I got to check out. 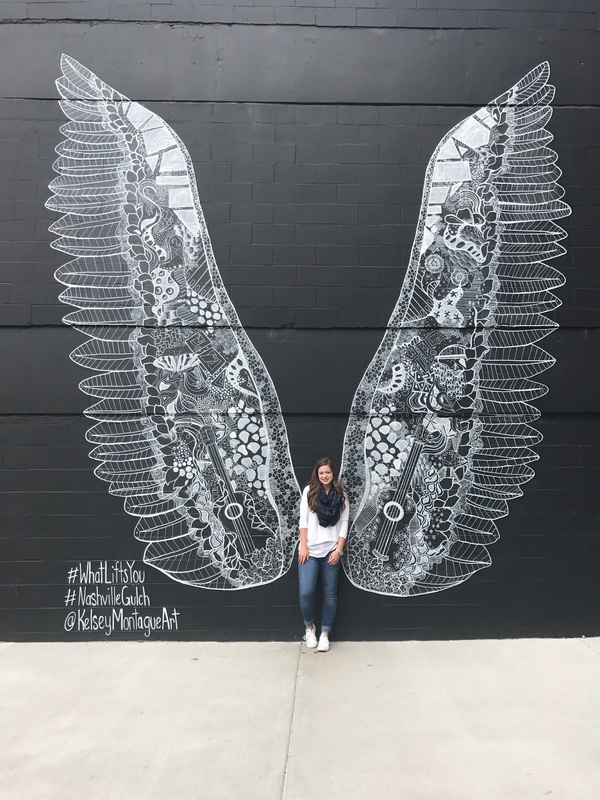 A must do for Nashville is the angel wings in the Gulch. Artist Kelsey Montague hand painted these two beauties, and there is a big set of wings and a smaller set of wings for all your photo needs. 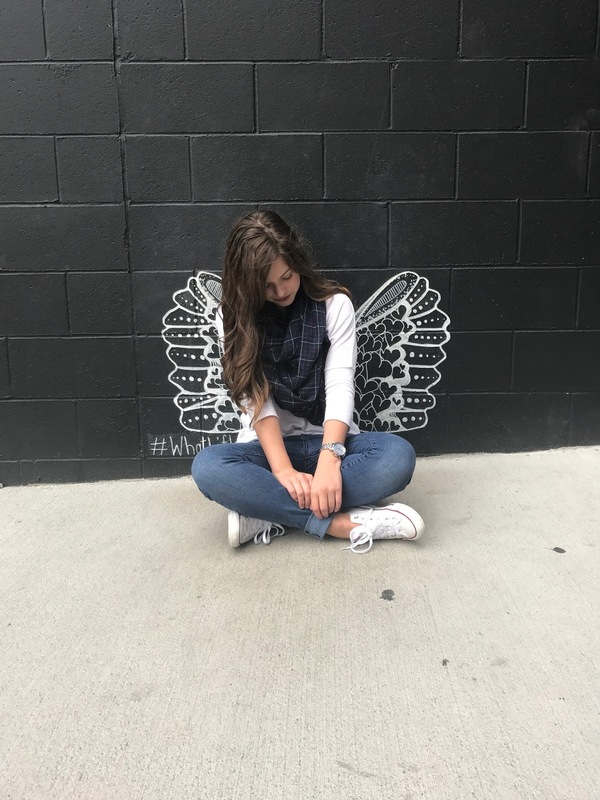 Drive to the Gulch and you can't miss these wings. They are at 302 11th Ave S if you want to punch it into the GPS. 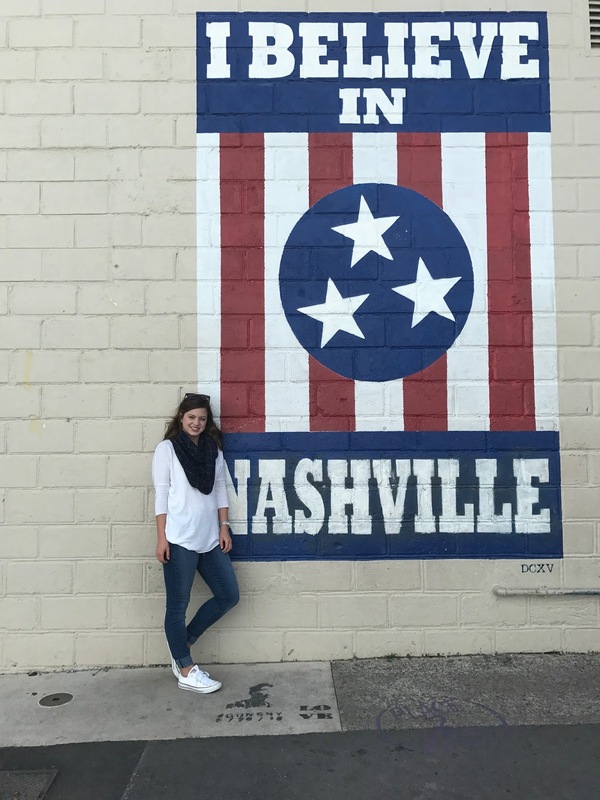 Next stop was the I Believe in Nashville mural. This is an absolute must- no exceptions. This is basically a monument in Nashville. There are three of these around the city, but the best one has to be at 12 South Avenue right next to Draper James. Type in Draper James to the GPS and you will get two murals in one. The next mural is the Draper James store. 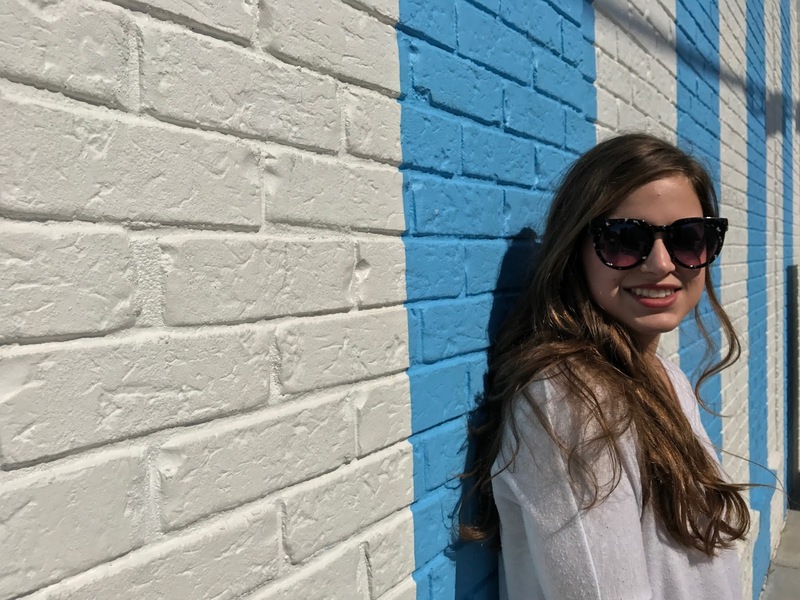 The side facing the I Believe in Nashville mural has an adorable blue and white striped facade and is just the cutest thing. This spot is perfect for fashion bloggers. The front of the store also has pretty white brick, which I snapped a few pics at. 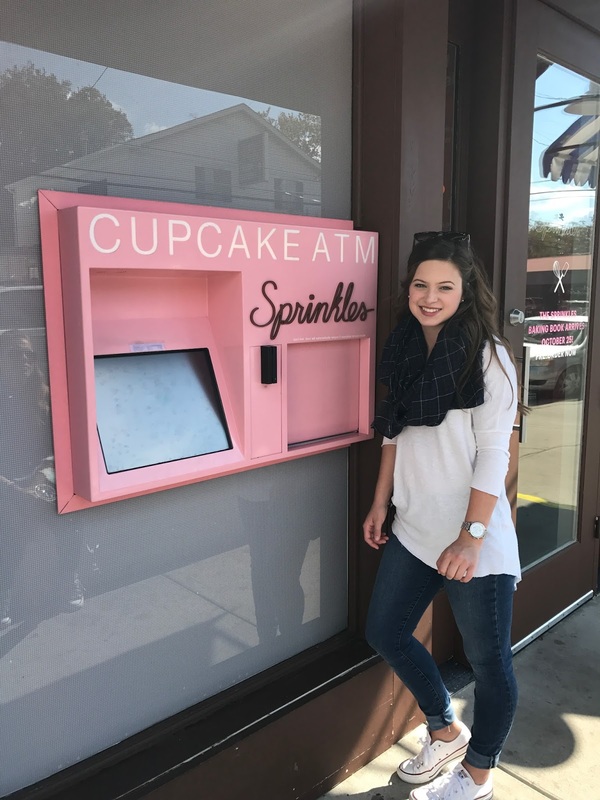 Be sure to check out the Cupcake ATM at Sprinkles cupcakes which is beside Draper James. Also a cute photo spot! Thank you all for reading! 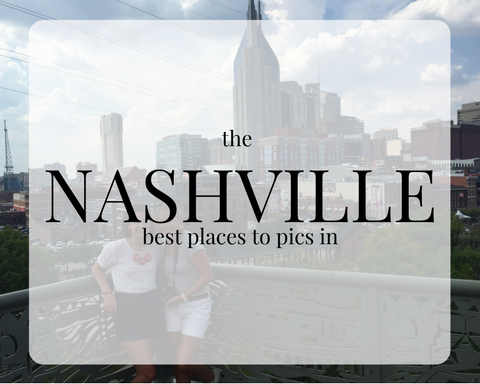 I would love to do a guide to Nashville in the future but for now I hope you enjoy these photo spots.